It’s been a busy couple of months here at Boardlink, we’ve invested £100,000 to increase our capacity by 25% on key lines to meet the demand for business we’ve recently secured, as well as future opportunity in this vastly growing market, and we’ve joined the British Frozen Food Federation (BFFF). Our products have seen a growing appeal in the frozen food industry, as they are less likely to ‘shatter’ than plastic based products when frozen, resulting in less breakages in the supply chain. This is just one of the reasons why last month we joined the BFFF and we’re really looking forward to welcoming new opportunities that may arise in the coming weeks and months from our membership. However, it’s not just the frozen food industry where our carton board trays are gaining attraction. As they can sustain extremely high temperatures (up to 200oC) when heated they provide better insulation than aluminum and plastic based products, making them less likely to burn to-the-touch and remaining rigid when containing hot products. From ready meal applications and hot puddings, to pies and raw meats our carton board trays can satisfy a wide range of uses. We currently supply our sustainably sourced and widely recyclable range of Dual-Ovenable board trays to major food retailers, food service providers and manufacturers throughout the UK and Europe. There are over 50 different board trays available in the range, which come in white or black, and they can be printed to meet requirements. So, if you’re looking to offer a more aesthetically appealing, durable and sustainable product, then they’re definitely for you. 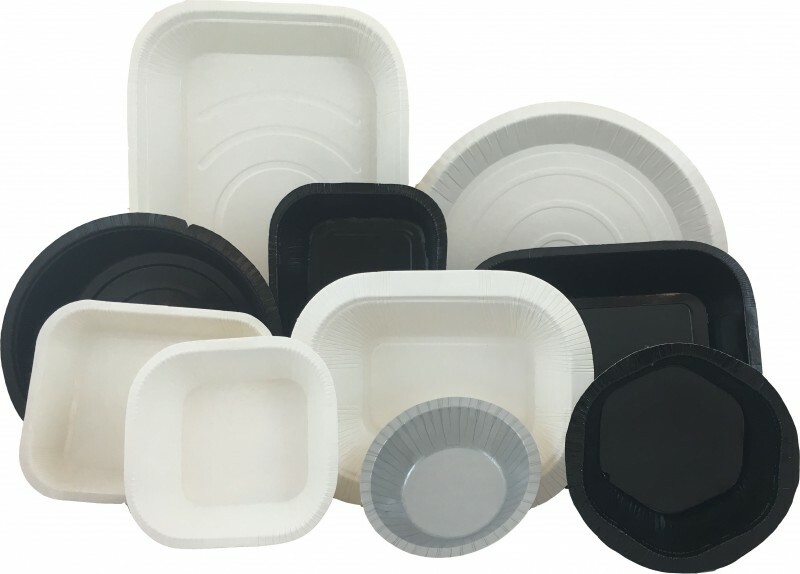 All our trays are PET (Polyethylene tetraphalate) coated and have been classified by WRAP as ‘widely recyclable’. 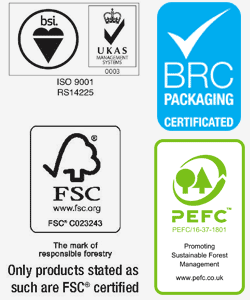 This means that any of our trays can be recycled through domestic paper waste streams… bonus!